I first met Vale in 2009 when he won his 100th GP(!) but now I’ve met him 7 times in total! This picture was in 2016. 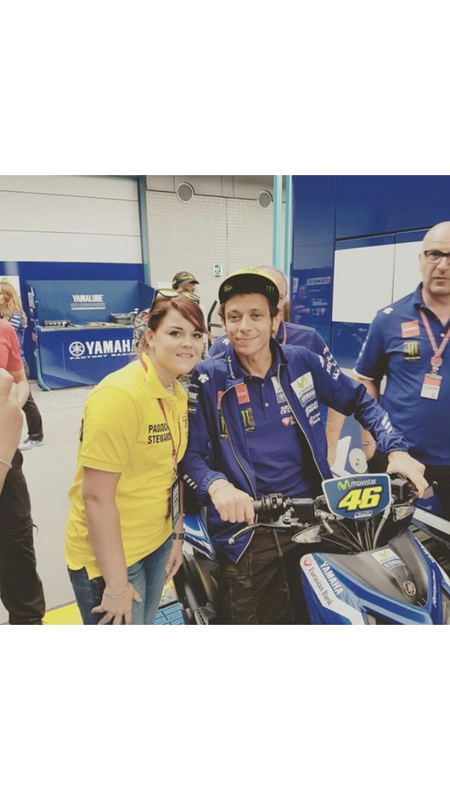 I support Rossi because he’s a great charasmatic man, I like his looks and how he treats his fans! Always taking time for them. #ThankYouVale for your great shows when you wins, for always taking time for his fans and for letting us enjoy every race you ride! It’s always a great pleasure to watch! And absolutely thankful for the fans he has created around the world it feels like one big yellow family! Have you met Rossi? Tag Us!! !